Every person in the world wants to be successful but not everyone gets to succeed in life, at least not in every task of life. The prime reason for that trial is because you are not able to put the needful effort or the appropriate one which could have led them to achieve the goal with success. There are many known people in the world, who are successful with not much effort because they made the effort which was vital to their goal. MARK ZUCKERBERG is one of the renowned names of our time. He is the owner of Facebook with the revenue of 30 billion US dollars. He is a college dropout which could have been shocked to most of your but, by putting the rightful effort he succeeded and today he is competing with the giants of the world without hiccups. 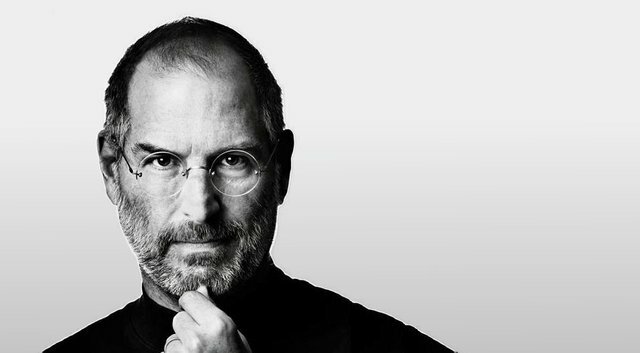 STEVE JOBS (LATE) was the head of Apple brand, which is one of the best in the world with the operating system which no other brand has even come close to. Unbelievably he was the college drop out too but led a brand of billions of dollars and counting. All of them got successful but with some efforts which will be underneath for all of you to understand and abide by. In order to be successful, the easiest and the vital approach is to take the goal or your task as fun. If you will think too much about the toughness or difficulty of the task then, you will never be able to stand on your foot. Many people lose the path when they encounter the goal with only thinking about the outcome or the destination. It will become like a death trap if you will go by that approach. The successful people, always think about the effort they are putting and in what direction. Focusing on the outcome or goal gets you out of the path and you only make your head boil down. Not being modest or nice to yourself. Be hard and by telling yourself that you have to put the effort to get the outcome. Challenging yourself on the path will make you able to fight and adapt to every situation you encounter. So, if you want to get successful then beat yourself to the scratch to get that. Nothing happens out of the blue. You have to plan everything, every effort, every destination of yours to get the best out of everything. Being successful asks the same approach with planning the effort and the timing you are going to put in that. In order to accomplish the goal or getting the task fulfilled, don’t burn out yourself. A successful person always does the task but by being active and healthy. You have to analyze your approach and your body. If you are active and healthy then you can move forward otherwise, you have to take some rest and then move from there. Loved reading this article! Thanks for sharing buddy! this is words on marble, so true, success is no rocket science, just do what the successful people are doing. Thank you @vandrei.razvan for making a transfer to me for an upvote of 7.57% on this post! Half of your bid goes to @budgets which funds growth projects for Steem like our top 25 posts on Steem! The other half helps holders of Steem power earn about 60% APR on a delegation to me! For help, will you please visit https://jerrybanfield.com/contact/ because I check my discord server daily? To learn more about Steem, will you please use http://steem.guide/ because this URL forwards to my most recently updated complete Steem tutorial? Thanks a lot for his vote, will you help to teach me how to play steemit like you? I am amazed with your account. And if if you wish you would help me follow me back in steemit account. The secret is just one. Is not easy and it takes a lot of patience. Engage with the comunity with no expectations back and give the best of yourself in content creating. Thank you very much for his input om. I will try. Can we be friends? If I may know, what is your name? And from which country are you from?